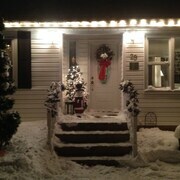 Location is good; right between tourist Blue Mountain and Collingwood. Right in Collingwood, close to many stores, restaurants and a movie theatre. 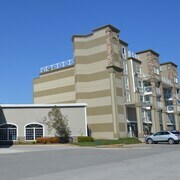 Hotel is located in the middle of collingwood with in walking distance of many retaurants, shopping and a movie theatre. Our group of ten travelled to Collingwood for winter activities and were pleased with the convenient location, pool, hot tub and complimentary breakfast. Overall a great experience, and we would definitely stay at this hotel the next time we visit Collingwood!! We came specifically to go to Blue Mountain, and it was SO close to the hills.. and equally as close to the heart of Collingwood. Where to find Collingwood hotels near an airport? Where can I find hotels in Collingwood that are near tourist attractions? 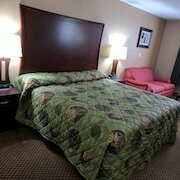 Collingwood offers 14 Expedia lodging options. Expedia's extensive network currently offers about 14 hotels within a 0.1-kilometre (0.06-mile) radius of the town center. The The Findlay House is one of the most convenient options as it is one of only a small number of choices within walking distance of the Collingwood downtown area. 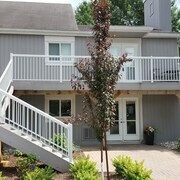 The Georgian Bay Hotel is positioned 7 kilometres (4 miles) from the center of Collingwood and is an ideal option for those looking to stretch their budget. 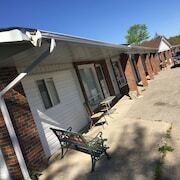 For another option, you could check out the rates and amenities at the Relax Inn Collingwood. 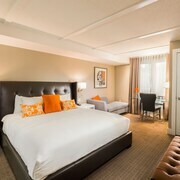 8 kilometres (5 miles) from downtown Collingwood, is the Westin Trillium House, Blue Mountain. Alternatively, the Mountain Springs Resort is 10 kilometres (6 miles) away. Alternatively you could book a bed at the The Donato House Hotel or the Living Water Resort. The greater Southern Ontario area is certainly worth discovering as well. If you love nature, be sure to explore Southern Ontario's beaches, coastal plains and forests. You should also explore the area's traditional villages, churches and art museums. In this part of Canada travelers can partake in skiing. Barrie is 45 kilometres (26 miles) to the east of Collingwood and is home to the Georgian College and Snow Valley Ski Resort. Should you wish to visit Barrie, check Expedia's booking pages for the latest deals at the Hampton Inn & Suites Barrie and Holiday Inn Barrie Hotel & Conference Centre. Alternatively, you could consider staying at Midland, 40 kilometres (24 miles) to the northeast of Collingwood, where you can choose from the Best Western Highland Inn & Conference Centre and Comfort Inn Midland. Should you choose to stay in Midland, set aside some time to check out the Bamboo Spa and Midland Golf and Country Club. While you are here why not spend some time rubbing shoulders and cheering along with fellow sports fans at a local game. You'll find Woodbine Racetrack 95 kilometres (60 miles) to the southeast of Collingwood. 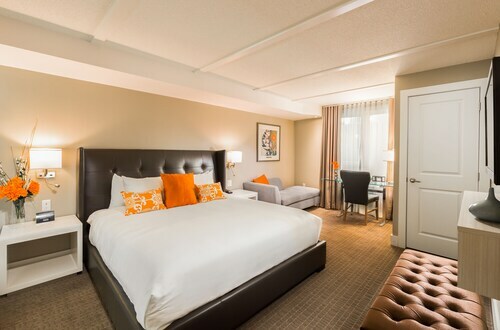 Those wishing to sleep nearby can make a choice from the Sheraton Gateway Hotel In Toronto International Airport or the Residence Inn by Marriott Toronto Airport. For travelers planning on arriving or departing via Pearson International Airport, you may find it convenient to book accommodation at Homewood Suites by Hilton Toronto Airport Corporate Centre, or Residence Inn by Marriott Mississauga - Arpt Corp Ctr West, both of which are conveniently close. What are the most popular Collingwood hotels? Are there hotels in other cities near Collingwood? What other types of accommodations are available in Collingwood? Explore Collingwood with Expedia.ca’s Travel Guides to find the best flights, cars, holiday packages and more!